Five-year figures reveal that two-thirds of English universities lag behind on equality. The data has been described as a “game changer” for the way in which universities are held to account. Despite efforts in recent years to address participation, 67 per cent of English universities had gaps between participation rates for students from the least and most advantaged areas. Participation of local area figures (POLAR) measure how likely young people are to progress to higher education according to where they live. Postcodes are grouped by the percentage of young people from that area that progress to higher education. Those postcodes where few young people participate in higher education are classified as less advantaged. Young people from the least advantaged areas make up 12 per cent of entrants in higher education in England while students from the most advantaged make up around 30 per cent. Figures from the University of Oxford across the five-year period were less than half those of the national average. Nearly 60 per cent of its student intake came from the most advantaged areas in England and fewer than five per cent were from the least advantaged. In contrast, the four universities with the biggest improvement in access from 2013/14 to 2017/18 are the University of Hull, the University of Northumbria and the University of Lincoln. Chris Millward, director for fair access and participation at the OfS, said that “the data shows that some universities are making stronger progress than others.” Students and the wider public, Millward added, “are increasingly expecting stronger progress in this area”. There are also differences between the attainment and progression rates of the most and least represented groups. The attainment figure is calculated from the proportion of students awarded first or upper second-class honours degrees. In the last year, 59 per cent of providers had an attainment gap of between 2.6 and 10 per cent between students from the least and most advantaged areas. This picture contrasts somewhat with the progression rates of those graduates after university. The progression rate is calculated from the proportion of students progressing to highly-skilled employment or higher-level study. 37 per cent of providers had a gap no larger than 2.5 per cent and 57 per cent had a gap no larger than 5 per cent. This indicates that, post-higher education, students from less advantaged areas achieve more equitable outcomes than those achieved during their higher education careers. Even starker differences exist in attainment and progression rate data when comparing black and white students. 58.9 per cent of black students achieve a first or upper-class second-class honours degrees compared to 82 per cent of their white peers. These figures add to a growing picture of inequality at England’s universities. 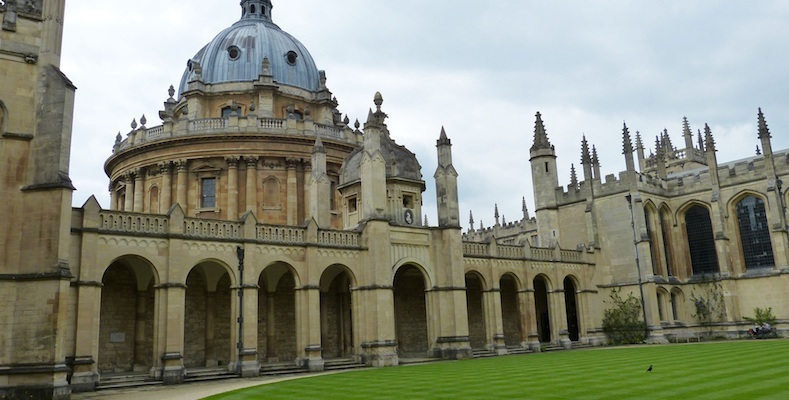 Oxford University data revealed that eight of its 29 colleges accepted fewer than three black applicants in the past three years. These figures led David Lammy to label the institution a “bastion of white, middle class, southern privilege”. The university’s director of undergraduate admissions Dr Samina Khan told the BBC she was “pushing hard” to improve these statistics. The OfS has “set ambitious targets to reduce equality gaps during the next five years,” Millward said. As a condition of providers’ registration with the OfS, each must have an OfS-approved access and participation plan.